What Does Fold Mean in Cooking and Baking? The term "fold in" means something different in cooking than it does in every other usage of the word. When you see the word 'fold' in a recipe it is calling for an action. Usually, egg whites or whipped cream are folded into a heavier mixture, for a souffle, cake, or pie filling to help the mixture rise. The lighter mixture is placed on top of the heavier mixture, then the two are combined by passing a spatula down through the mixture, across the bottom, and up over the top. This process continues until the mixtures are combined. This traps air into bubbles in the product, allowing baked goods to rise. In other uses, mixtures are folded together to combine them. 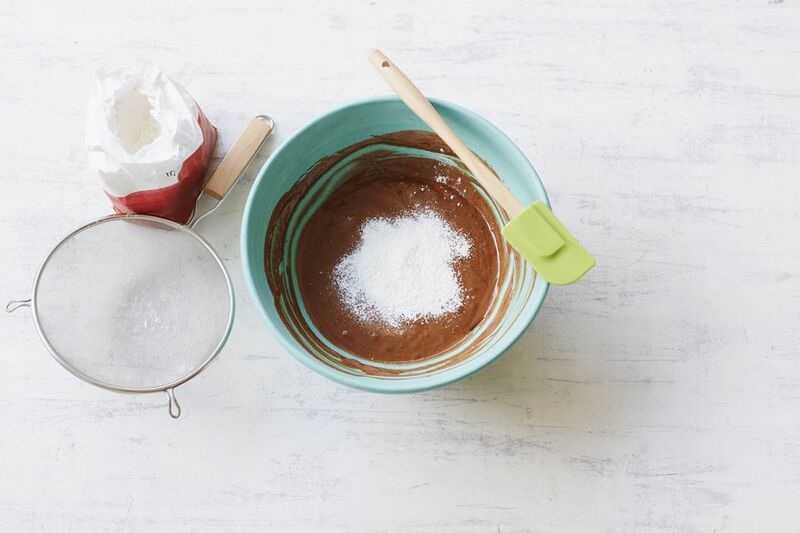 Use the same technique of moving a spatula or a spoon through the two mixtures until they are combined. Examples: The stiffly beaten egg whites were carefully folded into the cheese sauce to make the souffle base. "Folding" is a very precise term in cooking and baking. It means that you have to carefully combine two mixtures of different thickness and weight into one (relatively) smooth mixture. This is accomplished by a specific technique of using a spoon to lift the two mixtures together, turning them over so they combine. Recipes that use this technique are almost always finicky and a little more difficult to make, such as souffles and cakes that are made without chemical leavening such as baking powder or baking soda. Folding is not difficult to do, but it does take patience and a light hand. With practice, you'll become an expert.